Still struggling to make that Captain’s Chair your own? 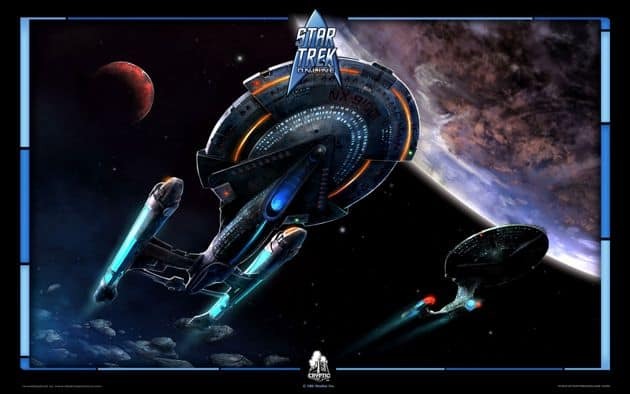 Cryptic Studios today announced a huge experience points boost event for the award-winning free-to-play MMO, Star Trek Online. The bonus event begins later today and will see a 100% increase in experience points for all Star Trek Online players with the event scheduled to end this Monday, March 10th. The bonus extends to all activities that reward skill points and expertise, so ready your phaser and prep your crew. Accompanying the event is the beginning of the Fleet Project reruns, giving players that previously missed Starbase, Embassy and Dilithium Mine projects another opportunity to grab the goods. The developers didn’t state whether or not the Fleet Project ends with the experience points event but it’s best to take the chance whilst it’s there. A friendly word of caution as you’re boldly going where no man has gone before and raking in tons of experience points, make sure you’re not wearing a red shirt.